The text also reviews the latest regulatory guidelines that influence the translation of nanotechnological research from the laboratory to the clinic, as well as the most recent information on biodevices and pharmaceutical spinoffs. It highlights presidential and congressional initiatives and programs that may significantly impact the field in the near future. Chapters discuss the latest science and technologies—which are applied to diagnosis and treatment of neurological disorders—as well as regulatory issues that impact product development. Babak Kateb, founding chairman of the board of SBMT and Brain Mapping Foundation, Scientific Director of SBMT, and President of Brain Mapping Foundation, West Hollywood, CA, USA, Director of the National Center for Nano-Bio-Electronics, NASA Research Park, Moffet, CA, USA, Senior Editor of SBMT-NeuroMapping & Therapeutics, Research Scientist, Department of Neurosurgery, Cedars-Sinai Medical Center, Los Angeles, CA, USA. 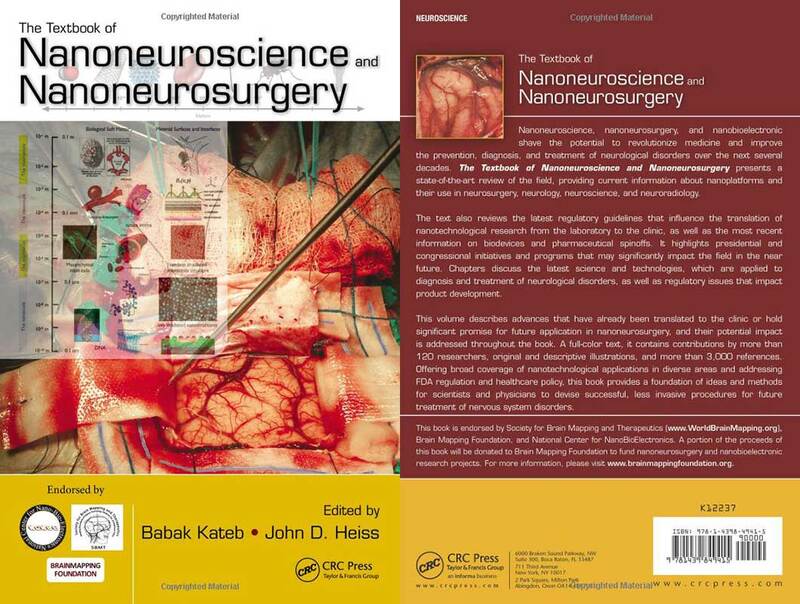 John D. Heiss, chair of the Surgical Neurology Branch, National Institute of Neurological Disorders and Stroke, National Institutes of Health, and Clinical Professor of Neurosurgery, George Washington University, Washington, DC, USA.